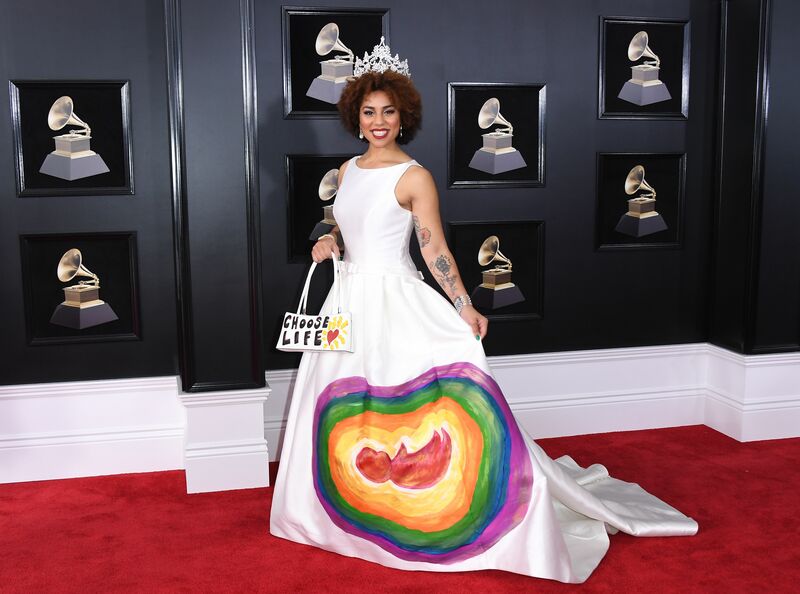 Singer Joy Villa made a serious political statement at the Grammy Awards Sunday evening, walking the red carpet in a custom “build the wall” ballgown. 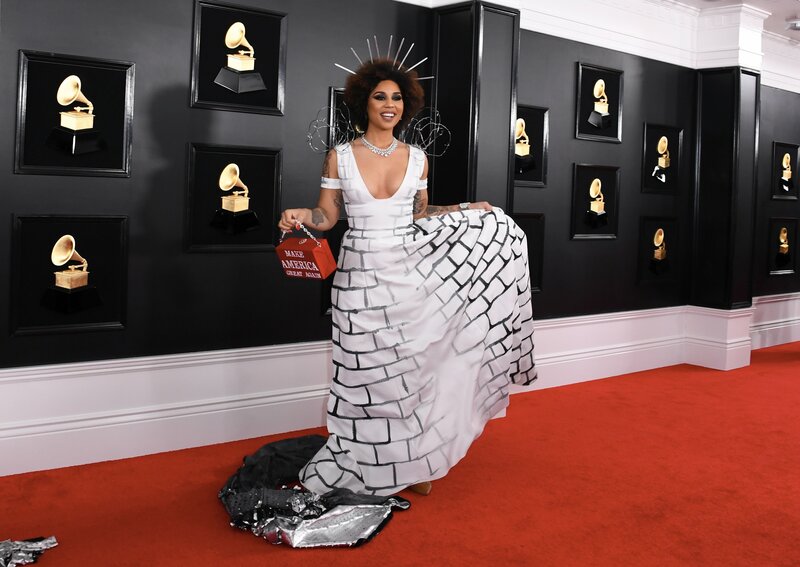 Villa is no stranger to shocking the crowds at the Grammys. 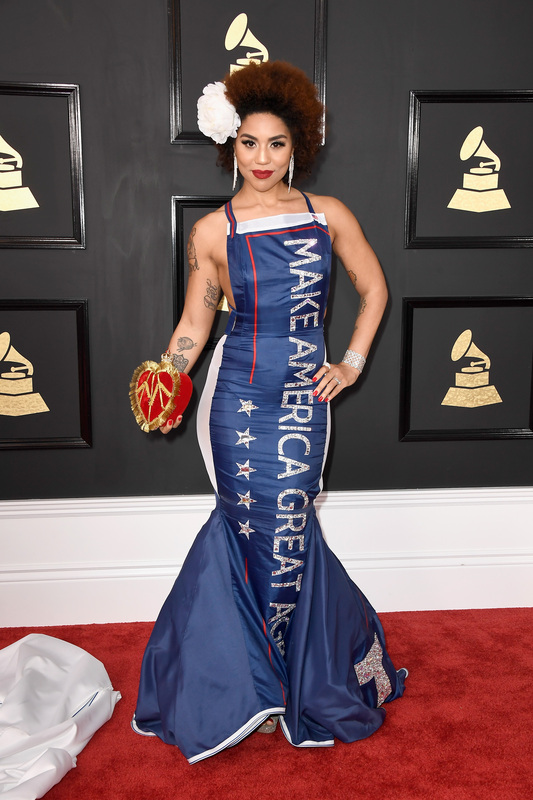 Her outfits for the last two years have sent political messages as well.